Earlier this year the Blackhawk Trailriders conducted their ride to collect the donation jars they had left at businesses earlier this year. From all appearances their efforts were successful. 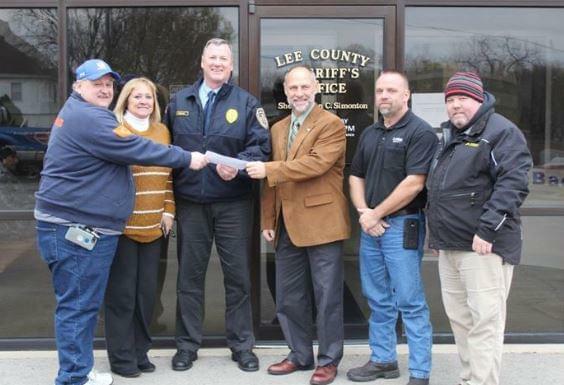 Earlier this week the group presented to the Dixon Police Department and the Lee County Sheriff’s Department $6.0000. This donation is for the Shop with the Sheriff and Shop with a Cop programs. Lee County Sheriff John Simonton said this money will help to make shop kids very happy at Christmas.